Antonov Airlines has carried out the first charter operation from its new UK headquarters at London Stansted Airport: the shipment of a British-manufactured helicopter. The outsize load, almost 4.4 m high, was flown from the UK to Southeast Asia on one of the airline’s seven Antonov AN-124-100 freighters. Specially designed machinery was used in the loading of the aircraft, which took place in the Diamond Hangar at London Stansted Airport, the new UK home of the freighter operator. “It is a wonderful coincidence that one of the UK office’s first operations should take place on its doorstep,” said Paul Bingley, commercial manager of Antonov Airlines. “Such close proximity allowed us not only to successfully test our specially-designed loading equipment, but also to work much more closely with our customer. “You could say we arrived at the right place at the right time,” Bingley said. 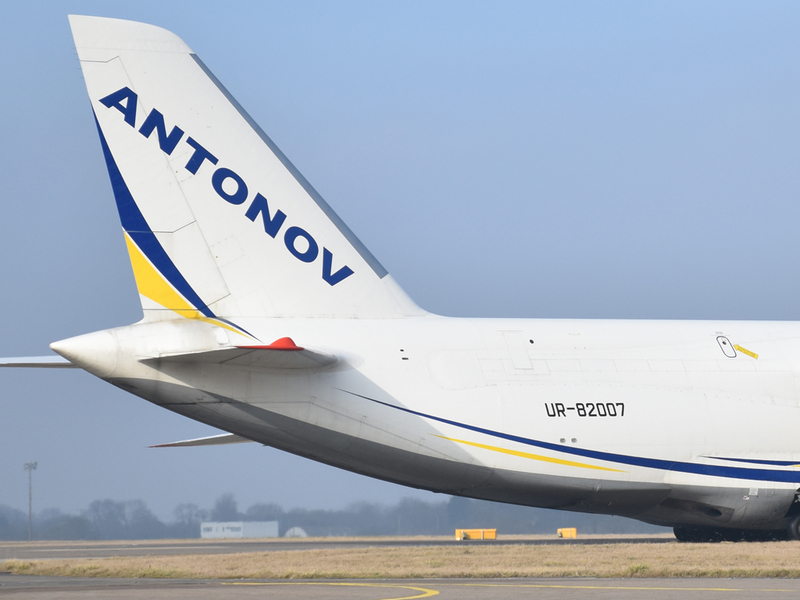 “Our team in Kiev was pleased to work closely with our UK office for this move,” added Andriy Blagovisniy, head of commercial development for Antonov Airlines. Antonov Airlines was the first enterprise to offer the 150-tonne payload AN-124 commercially, nearly 30. It also operates the world’s largest aircraft, the 250-tonne payload AN-225, and a 60-tonne payload AN-22.